The idea of a “comeback” has always made me a little uneasy. When this label gets slapped onto an album, probably by some uncreative press release, it’s usually ill-fitting and based solely on the quantity of years since a previous release. So with Chan Marshall releasing her ninth studio album, Sun (the first since 2006’s The Greatest to be composed entirely of original material), I’m still wary about labeling this as her comeback. If anything, this is an artistic rebirth, and Marshall is in on the theme. It’s not difficult to spot the basic symbolism of the sun as a source of new life, but Marshall provides personal relevance on Sun’s eponymous song: “I wanna hear the answer to every question…/This is the day people like me have been waiting for.” Marshall’s emotionally unstable past precedes her, so this declaration stands out in a career full of longing. Also, consider the album art. A picture of Marshall from twenty years ago could easily be mistaken, courtesy of a recent haircut, to Marshall in the present day. Is this a resurgence of her youth, energy, and a confirmation of a new approach to life? Judging by the album and its songs, it’s very likely. For a songwriter as prolific as Marshall, one whose career has been defined by left turns and unpredictability, Sun is her most musically distinct album yet. Her seductively sultry and raspy vocals thankfully remain intact (aided by a new sense of confidence), but the raw bluesy or folk-based instrumentation of her previous albums is replaced by drum machines and synthesizers. While they may not be the most state of the art electronic sounds, the inclusion is sewn seemingly effortlessly into the Cat Power aesthetic. Opener Cherokee is the most elegant, demonstrating and introducing one of the album’s greatest strengths: a flawless balance between analog and digital textures. From its brooding beginning, the refreshing sound of Marshall’s voice, the song crescendos into an unconventional anthem of universal spirituality and mortality. Sun is undoubtedly Marshall’s boldest and most diverse effort to date, and it is all the better for it. 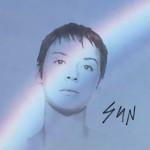 Prior to hearing the title track, I never would have drawn comparisons between Cat Power and Massive Attack; and yet, Sun that trip-hop aesthetic, complete with droning guitars and synths, is married with some of Marshall’s greatest harmonies. Follow this with later piece Manhattan, which is at once sparse, spacious, meditative, and deceptively lightweight. Beneath the surface, the complexity of this song is strictly lyrical. Manhattan, for Marshall, is a contrast between longing and pride, loneliness and contentment, and she is treading lightly between the two. For the songwriter who wrote songs like Lives in Bars, it seems a weight has been lifted. My only issue with Sun is its last two tracks: Nothin’ but Time and Peace and Love. The latter is decent enough, but in sequence sounds a little awkward after the contrived grandiosity of Nothin’ but Time (which features Iggy Pop). While I respect Marshall’s lyrical advice for the restlessness of youth, the manner in which she delivered it is a little uninspired and dense. The first five minutes slide by pleasantly; yet, lacking the emotional or raw intensity of Heroes (an obvious Bowie homage in the line “it’s up to you to be a superhero”), there’s little to anchor this song in our hearts. Between the obnoxiously preachy “You wanna live!” and Iggy Pop’s less than convincing vocal performance, the song verges on pretentiousness and is overall underwhelming. The length is considerable at eleven minutes, although there’s an arbitrary false ending followed by a fade-in and three instrumental minutes. This misstep aside, Sun is a warming testament to Marshall’s balanced perception away from the yearning of her previous albums towards Zen-like contentment. Perhaps this is taking lyrical cues and a personal need for biography too far, but the album goes down easier with this idea of Marshall’s new take on life. Ultimately, it’s a departure from anything else we’ve heard from Marshall. Whatever this means and wherever this delivers her, we can hope it’s brought her further on a larger path of understanding.